Masses of tiny star-shaped flowers adorn this quick-growing succulent foliage ground cover. 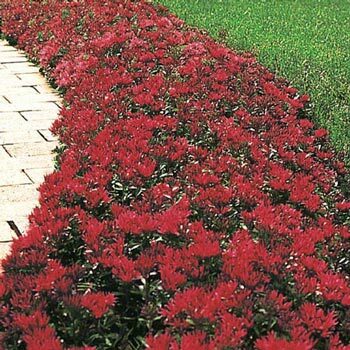 Sedum is good for erosion control on banks and tolerates dry soil conditions with ease. Space 12" apart. Foliage Type: Bronze-red foliage. 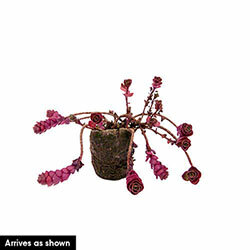 Small, succulent, rounded leaves in a vibrant green bronze-red. Pruning: Pruning is not necessary. This is a very low-maintenance plant. Divide every 3-4 years to maintain its compact growth habit.